The Cloud is a fun and exciting place to be. Exciting as it may be, even in the cloud, protection of databases and the data they contain has to be forefront in your mind. If it isn’t, that is just calling for a disaster to happen. Recently, I had the distinct pleasure of sitting down with my good friends Mike Fal (B|T) and David Klee (B|T) to discuss database protection in the cloud era for a podcast. 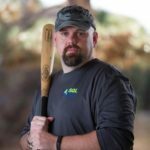 Sponsor and hosted by Mike’s employer, Rubrik, this podcast is about 45 minutes long and was an excellent discussion on the topic of database protection when in the cloud. Mike did a great job hosting and I look forward to participating in future podcasts. Have concerns about protecting your data in the cloud? Looking to move your data to the cloud but don’t know where to start? Let’s discuss! Drop me an email at john at dcac.co. We can help!